Special Experiment - "Fortune Memories"
Germany’s Special Experiment creates high energy, instrumental progressive rock that is tightly played and cleanly produced. Although they are a band, this project is really keyboardist Dzidek Marcinkiewicz’s vision. He composed all the tracks, filling them with lush layers of synthesizer and electric piano. But I appreciate the fact that he has brought in other musicians on guitar, bass, and drums. Too often these days, keyboard prog artists try to rely on only their own talents, getting by with synthesized guitar sounds and drum machines. Marcinkiewicz obviously recognizes the fact that this kind of music just sounds better, fuller, and more complete with a real band backing him. And back him in fine fashion, they do, especially Frank Tienemann, whose exciting lead guitar licks are reminiscent of Saga’s Ian Chricton’s. In fact, on the whole, there seems to be a lot of Saga influence in Special Experiment’s music, albeit without the vocals. Not surprising though. Saga were always far more popular in Germany than they ever were in their native Canada or the US. While the compositions on Fortune Memories don’t always have the atmosphere their titles suggest (Kiss of the Vampire and Night Over Marakesh are both bright, upbeat, exciting rockers, though Dark Angel does have some evocative moments), they are consistently strong throughout. Special Experiment’s music is infused with drama, and I found it easier to just sit back, close my eyes, forget the titles and let my mind form its own imagery to the sounds. Marcinkiewicz has a knack for melodies that are strong without being cloyingly catchy, whether they are bright and exciting or soft and thoughtful, and that can make a great difference in this kind of music. Despite the name of the band, there’s nothing experimental about their music. It’s easy to listen to, but dynamic and energetic enough to keep your attention without it always fading into the background. It’s often heavy, though not quite in a metal way, but also has some beautiful acoustic moments too. If you like instrumental prog with tight chops, be sure to check it out! 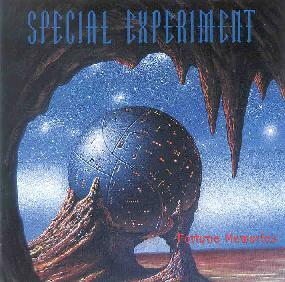 For more information you can visit the Special Experiment web site at: http://www.special-experiment.de. Contact via snail mail c/o Zdzislaw Marcinkiewicz; Benediktinergasse 6; D-49186; Bad Iburg; Germany.